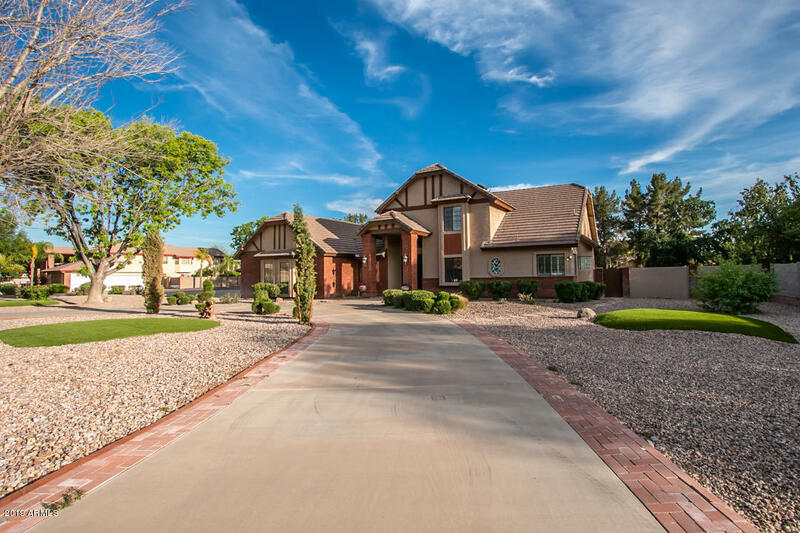 All CIRCLE G RANCHES 7 LOT 1- homes currently listed for sale in Gilbert as of 04/19/2019 are shown below. You can change the search criteria at any time by pressing the 'Change Search' button below. "Fabulous home in popular Circle G Ranch, known for large custom homes on spacious lots w/NO HOA! This one will not disappoint. Circular driveway delivers your guests to a stunning formal entry. Start at the office w/built-in cabinetry & open window to stairwell that leads to newly carpeted bedrooms & remodeled baths. Downstairs family room features soaring wood beamed ceiling & brick fireplace & opens to kitchen w/large granite slab island & breakfast nook. Ground floor master bedroom suite is r"